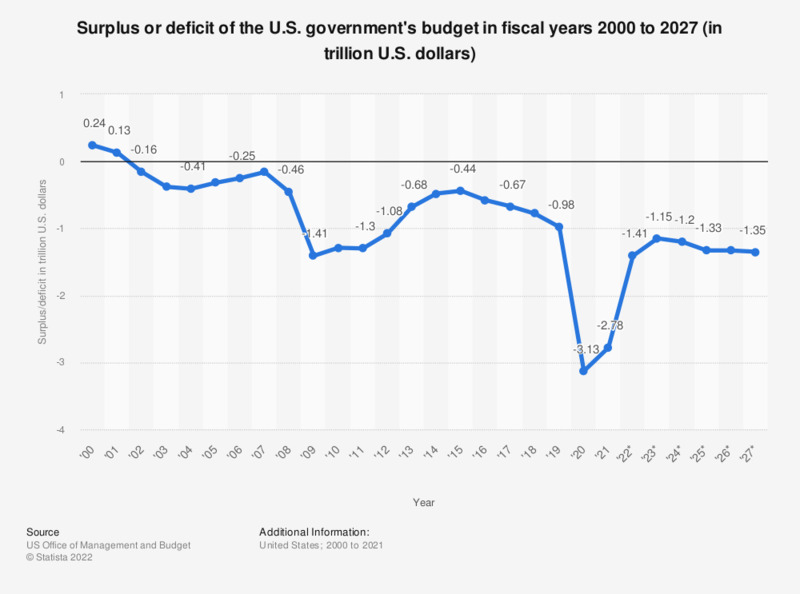 This graph shows the surplus or deficit of the U.S. government's budget in fiscal years 2000 to 2017 with estimated data until 2023. The U.S. government had a deficit of about 0.67 trillion U.S. dollars in 2017. Total government revenue was 3.32 trillion U.S. dollars in 2017.